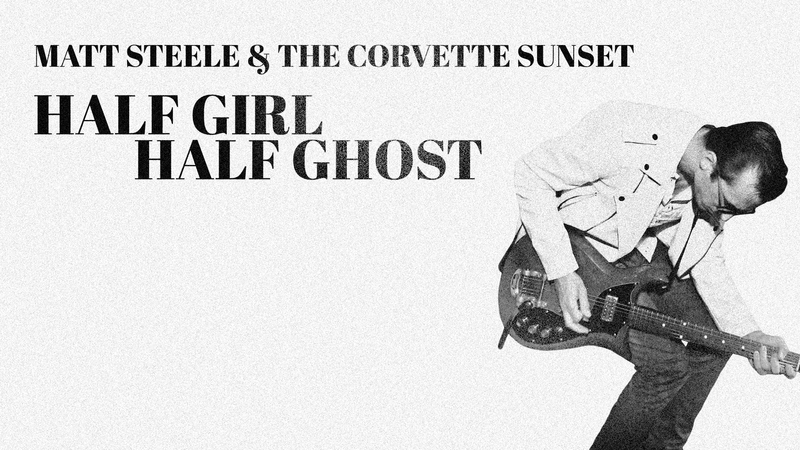 att Steele & The Corvette Sunset blend the hook-laden, soul-searching songwriting of Tom Petty with the frantic, frazzled, up-tempo power-pop of Elvis Costello, retaining just a tinge of Steele’s moonshine-soaked Kentucky roots. Their debut album, “Half Girl Half Ghost,” is a surprisingly vulnerable and honest look at coping with emotional turmoil, and the doubt, anxiety and heartbreak that comes with navigating relationships. With whip-tight arrangements that sound like they developed organically from late night jam sessions, exorcising demons by hammering them into songs over time, Matt Steele & The Corvette Sunset sound less like their namesake suggests, as a clichéd happy ending to a movie, and more like Thelma and Louise careening off a cliff at breakneck speed.